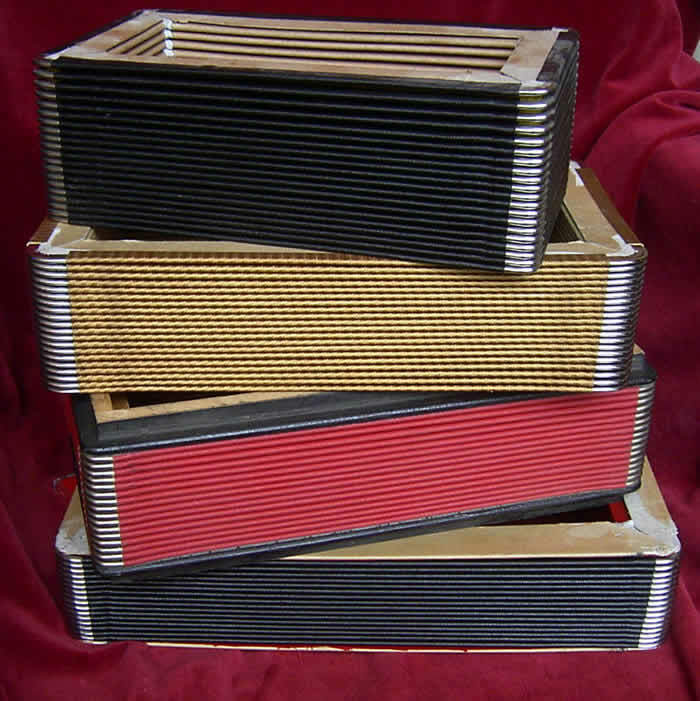 Top quality bellows for any make of melodeon and small accordion. Made to order in Italy in a wide variety of colours, sizes and styles to fit any instrument. To order just send me your old bellows and I will take all necessary measurements and fit the new bellows to your end frames.